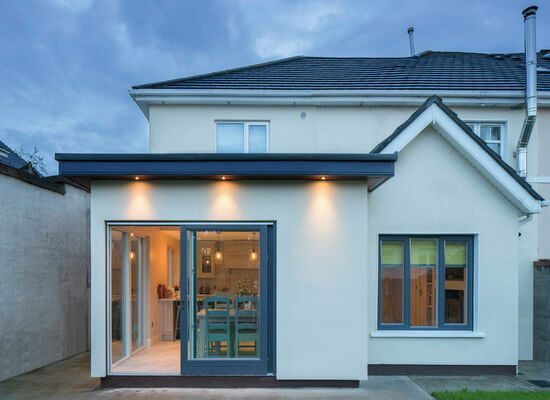 Shomera were delighted to work on this Wicklow House Extension. 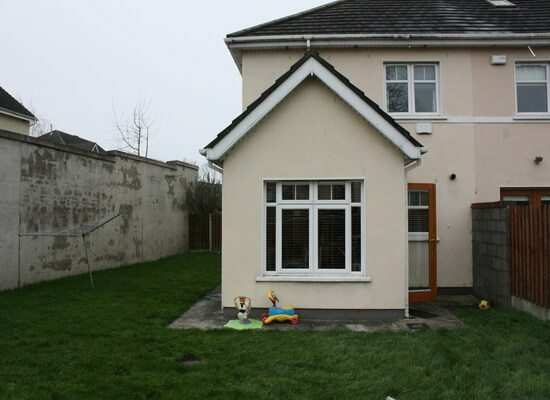 The home is a 3 bed semi-detached house with space to the side. 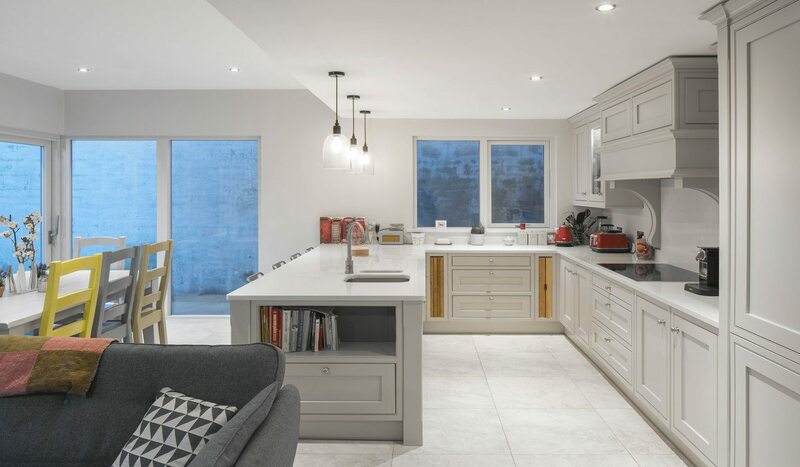 The clients wanted to retain a side access to garden but in order to take advantage of the space at first floor and to get well-proportioned bedrooms, a cantilever detail was design, which allowed 900mm additional width to be gained at first floor. 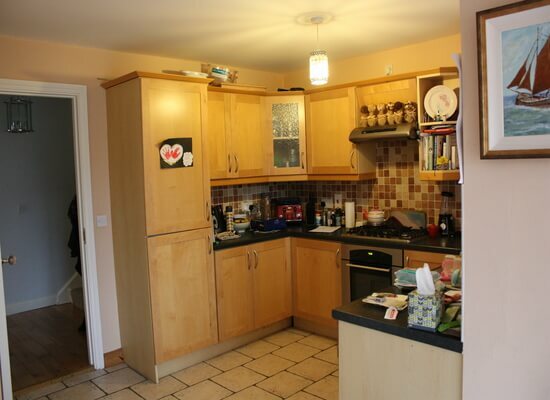 Features: New utility room with storage, open plan living, 2 new bedrooms and bathroom on first floor. There is a cantilever on the first floor to allow for side access to the garden at ground floor. The garden tapered which allowed a step to be gain area on the extension to the rear, giving more space in the open plan living area. The existing small extension to the rear (part of the original house build) was retained, upgraded and incorporated into the new extension. 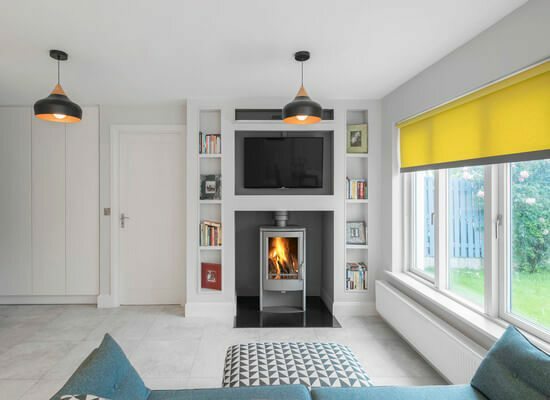 The ceiling of the ground floor extension to the rear was increased to create a greater sense of space in the new open plan living area. We went with Shomera for the full Design & Build package including an application for planning permission. Shomera provide the planning part as a separate piece, so the building contract isn’t signed till later. With a young family and a baby on the way, the timeframe was tight but thankfully Shomera completed the work within the short programme they had given. From concept design through to the very finish, we were very happy with the team.